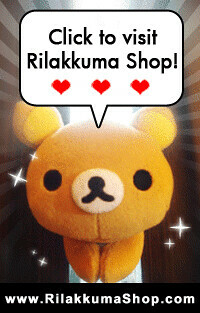 As Rilakkuma lovers, we have many Rilakkuma and Korilakkuma plushies of different sizes lying around every where but nothing beats having a huge Rilakkuma on your wall where you can look at him the whole day. Look at how cute this is! We really love this wallpaper and would love to have this in our own house! It is like having Rilakkuma, Korilakkuma and Kiiroitori are all living with us. Life will be so much more happier with them around. Just by looking at this huge picture of them together, it brightens up the whole room! All we need to add is the Rilakkuma sofa and XL plushies and we will get the most comfortable corner in the house. All of our friends who love Rilakkuma can all relax and party together here. This is another wallpaper done by San-X that looks absolutely gorgeous. The print is very feminine and cute looking and it's very suitable for bedroom or crafts/hobby room. This print is so pretty that we really hope that this can be made into curtains or bed sheets! And even though we cannot get our paws on these wallpaper, we are now using these prints for our desktop and phone wallpapers! 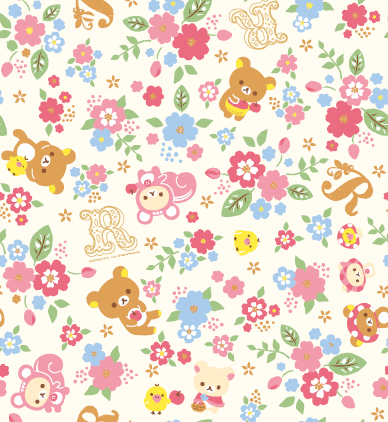 On a side note, you can always choose to save money by painting your own Rilakkuma wallpaper for your room! 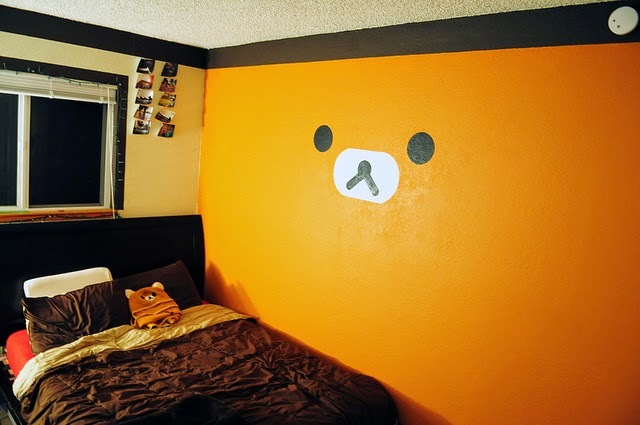 Just paint a wall of orangey brown and add the features in and you'll get a Rilakkuma! 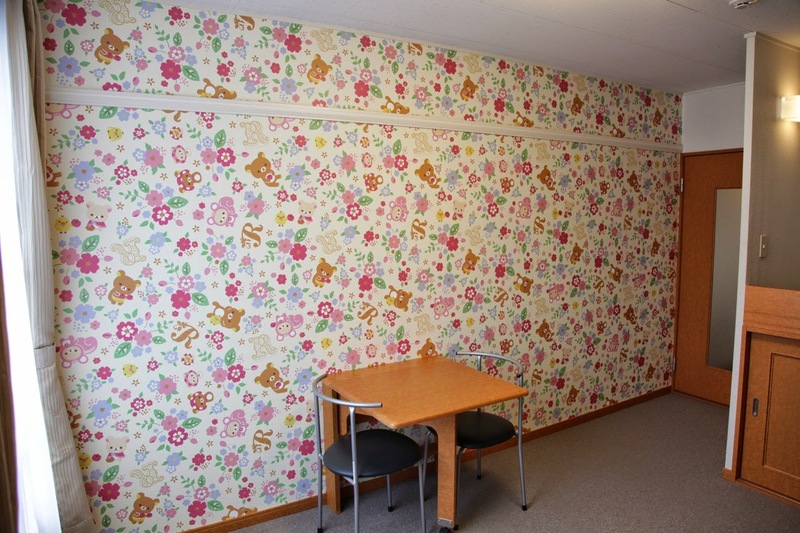 Hopefully these pictures will inspire some of you guys out there who are planning a room renovation soon and if there is any one of you out there who already own a beautiful Rilakkuma wall, please share them with us here! !